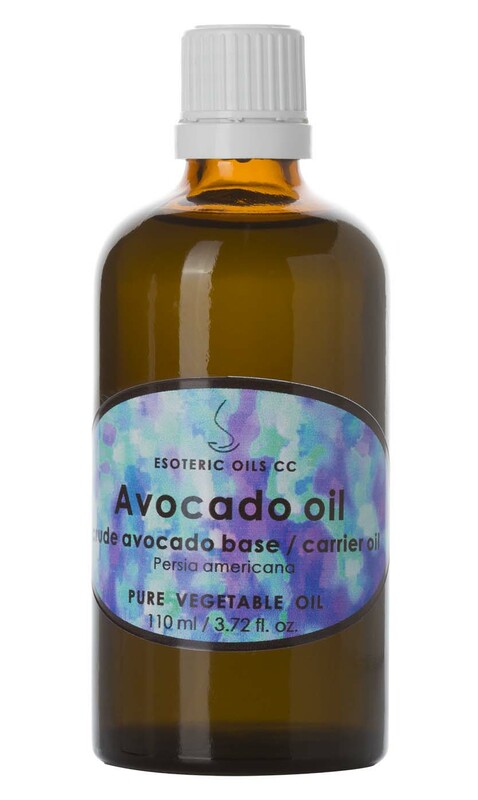 Although avocado oil it is classed as a vegetable oil, it is actually a fruit since it has a stone - but none-the-less it can yield a staggering 30% oil and in its crude form is a great oil to use as carrier oil when performing aromatherapy massage. It is a rich heavy oil, that is deeply penetrating and rich in vitamins A and D, lecithin, potassium as well as vitamin E.
Although it can be used pure, it is in most cases mixed with another carrier oil, such as Almond oil, or Grapeseed oil to make up 10 - 30 % of the carrier mixture. Avocado oil is easily absorbed into deep tissue, and with its wonderful emollient properties, makes it ideal for mature skins as well as helping to relieve the dryness and itching of psoriasis and eczema.